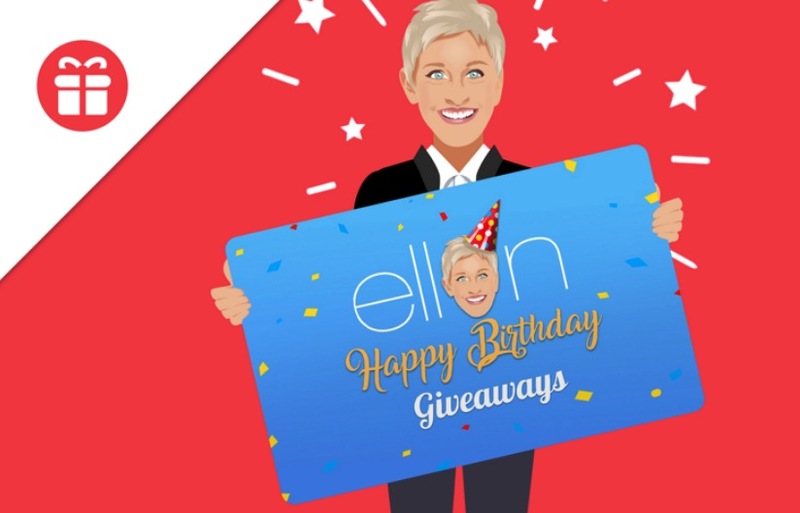 Enter now the Ellen Happy Birthday Giveaway 2019 for your opportunity to Win All of the Giveaways from Ellen’s Birthday Show. To enter you have to visit the official contest web page and follow the on screen instructions to sign in to the site and fully complete and submit the online entry form with all the required contact information. This competition closes on February 9, 2019 at 8:00 am CST. Winner will be selected by random draw from among all eligible entries received during the contest period. There is one Grand Prize available to be won, consisting of a 65" TCL Roku TV, Schwinn Mikko and Huron Cruisers, $500 in I Prefer points and a Marck Jacobs Tote. The Ellen Happy Birthday Giveaway 2019 begins on February 1, 2019 and closes on February 9, 2019.